sterile fields, cross contamination, and blood-borne and air-borne pathogens. your experience the most comfortable, clean, relaxed environment to get a tattoo in. 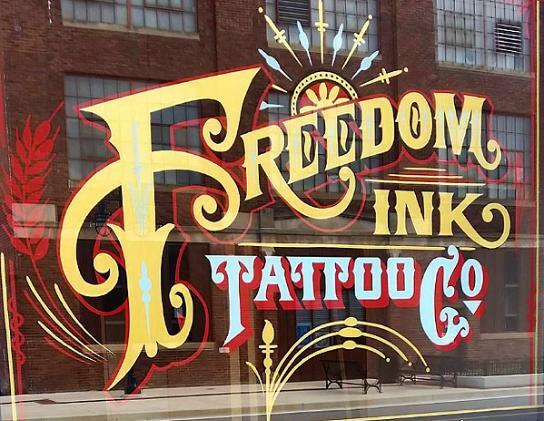 shop, ask questions, and see the difference Freedom Ink. has to offer. OUR TIME AND YOURS IS NOT WASTED. thank you! Peoria Illinois' best tattoo shop Tim Beck, Zach Dole, Jeremy Armstrong, Ink Master, LA ink, Freedom Ink Tattoos in Peoria, IL, Portraits, Tribal, Traditional, Pinup, Realism, Portfolio, famous.